How many types of braids do you know? Several decades ago, this question wouldn’t be as tricky as today. 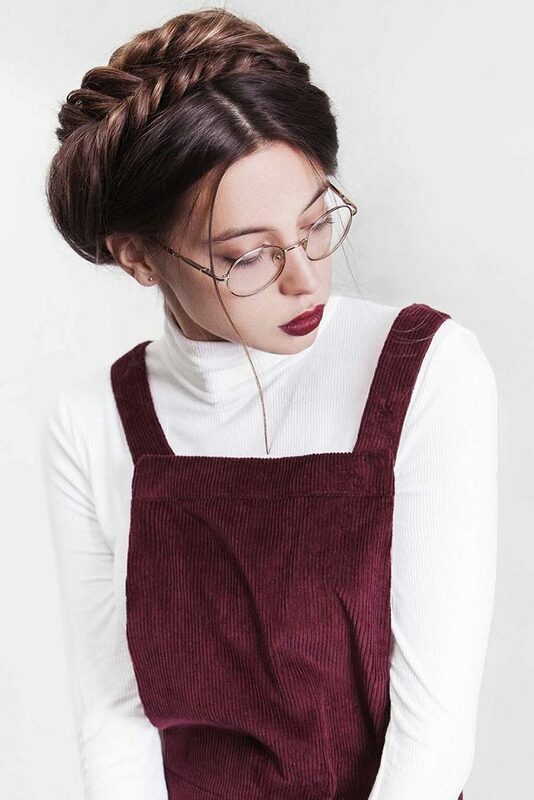 But now, the good-old regular, three-strand plait that we used to wear to school every single day has split into a great variety of different braided hairstyles. 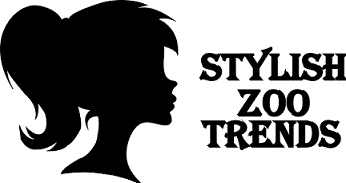 And that’s good news for ladies who like to experiment, as today there is a style for every mood and occasion. Braids are something ageless, something that women from all over the world will never stop loving. So how about you to see how differently you can wear the classics? It’s time to diversify your styling routine! Let our braided ideas inspire you. The left goes over the middle, and the right goes over the middle: we all can follow this pattern with our eyes closed since the very childhood! 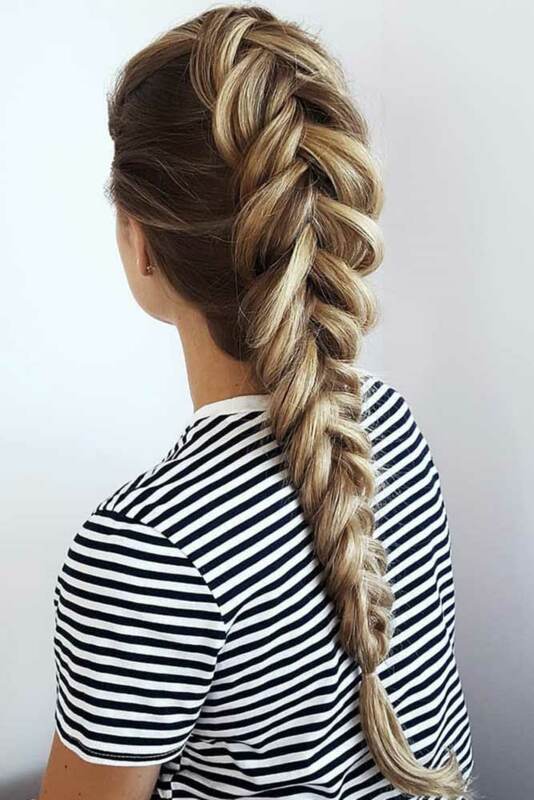 Yes, the regular braid is so common, but who says that it can’t look different? Just loosen up the strands and see the difference! 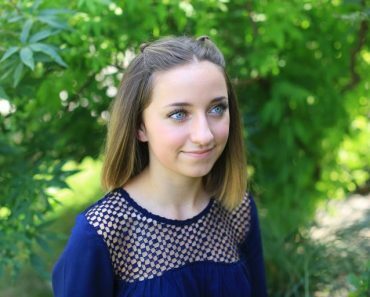 French braids are another worldwide classic hairstyles that seem never to become outdated. 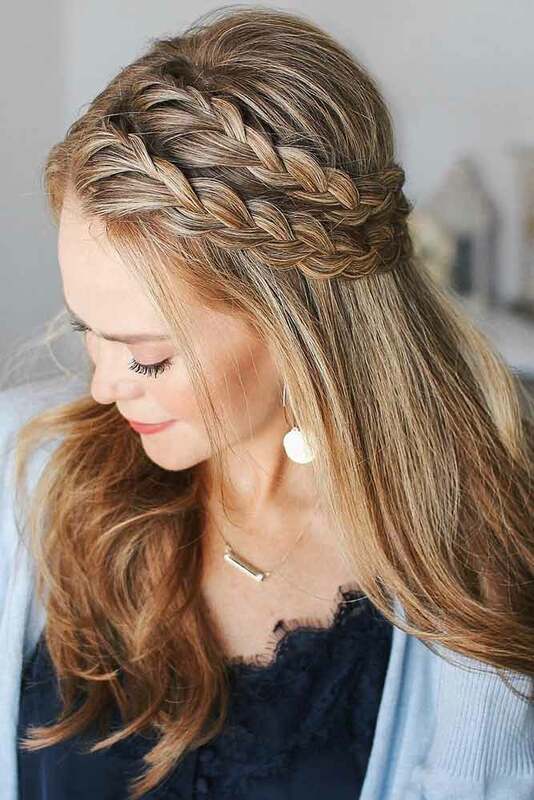 This time, you start braiding your hair from the top layer, gradually incorporating it with the lower one and turning your hair into a neat, elegant hairstyle. 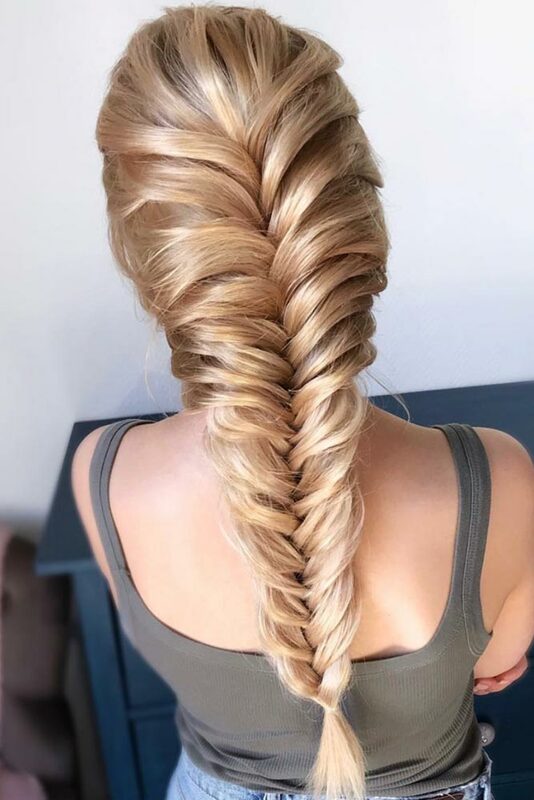 Though mastering the fishtail braid takes quite a lot of time and efforts, its unbelievably full texture is worth trying. This is one of the types of braids that can finish your big-day look: be it your prom or wedding. All of your hair is incorporated into the braid strand by strand, where little pieces of two hair sections are combined together to produce a braided masterpiece. If you’re wondering how to get a girly mohawk hairstyle, look no further the Dutch braid! 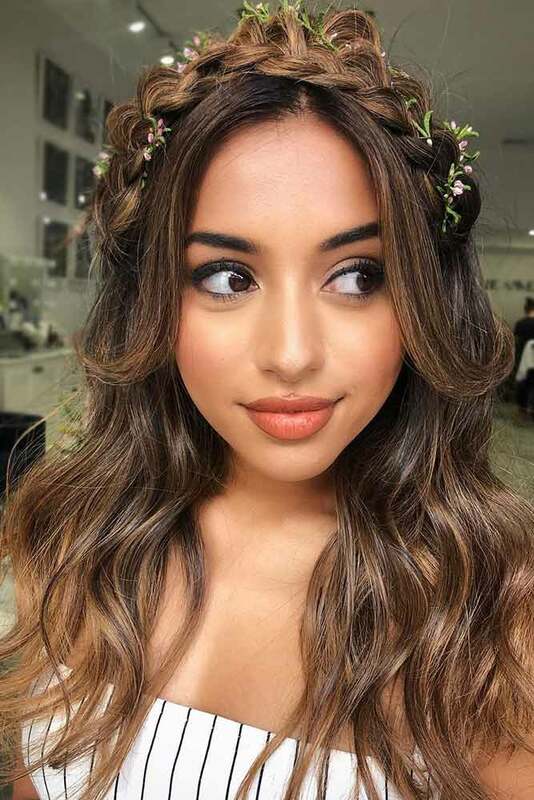 This braid type features neatly brushed sides and a long braid that stretches along the back, starting with the middle part of the crown and involving hair from the sides. 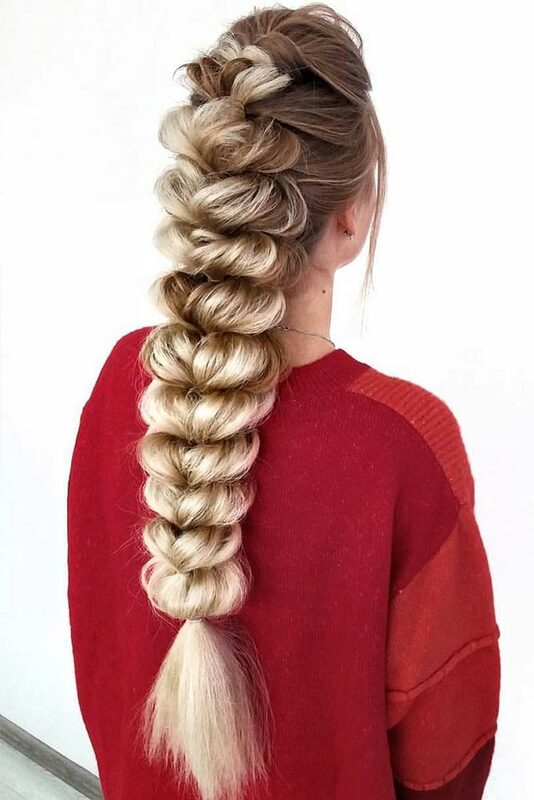 When you feel like giving a fresh take at the familiar three-strand braid, you just need to add one more strand! The technique is the same, yet, the look of your braid will change for the better. Some more oomph won’t hurt! Girls who want to rock braid hairstyles that will volume up their hair shouldn’t pass by the pull-through braid. 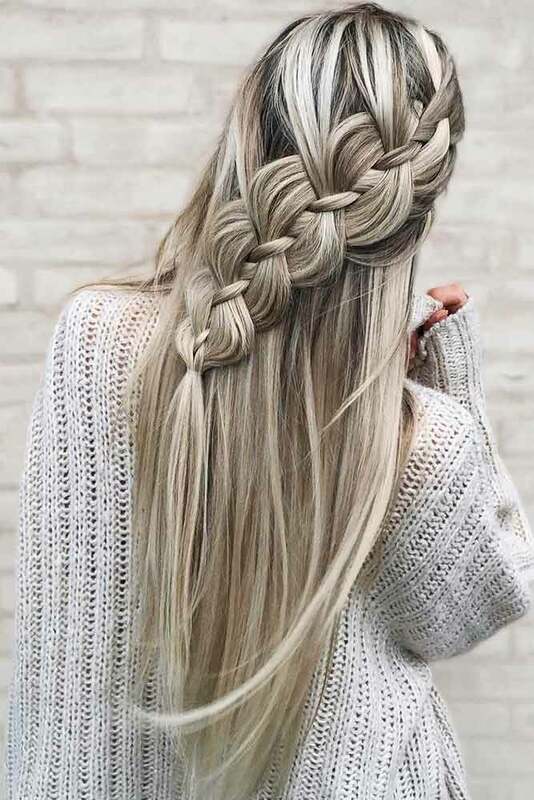 In simple words, it’s an inside-out braid that can be easily pulled and lifted in the way it gives a very full and textured appearance to your hair. 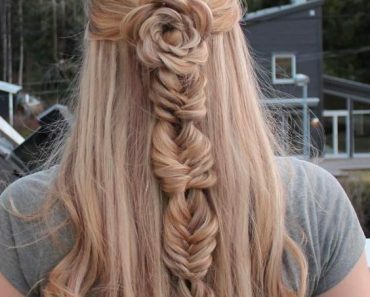 What girl doesn’t like the idea of waterfall braid that looks like a stunning accessory, falling on your shoulders? 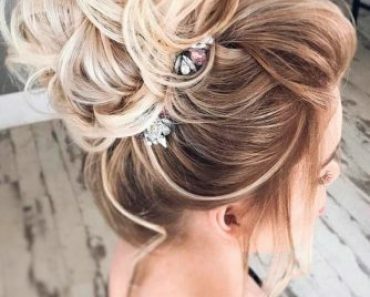 You can place the braid hair elements wherever you want, as well as experiment with the ‘do: it can turn into another plait, ponytail or half-up. 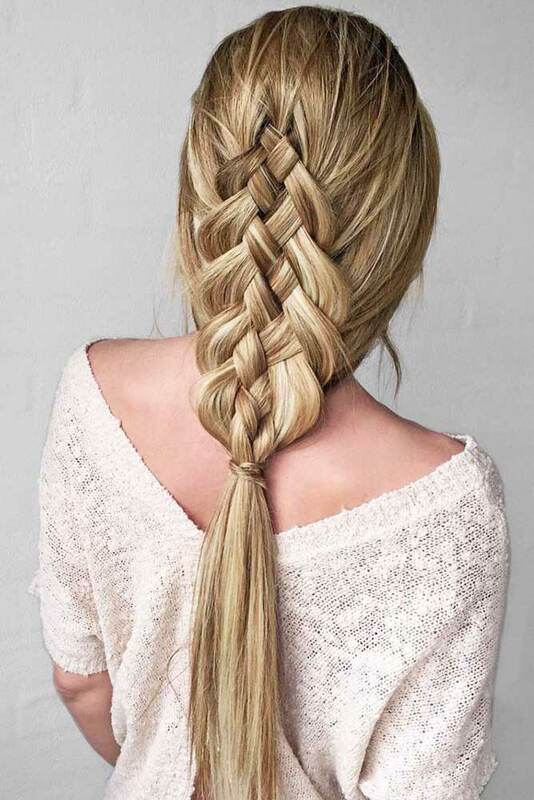 Who would’ve thought that easy braids could be that gorgeous? The truth is, getting milkmaid braids takes less than 5 minutes, anda its simplicity is the thing that makes the look so pule and feminine. 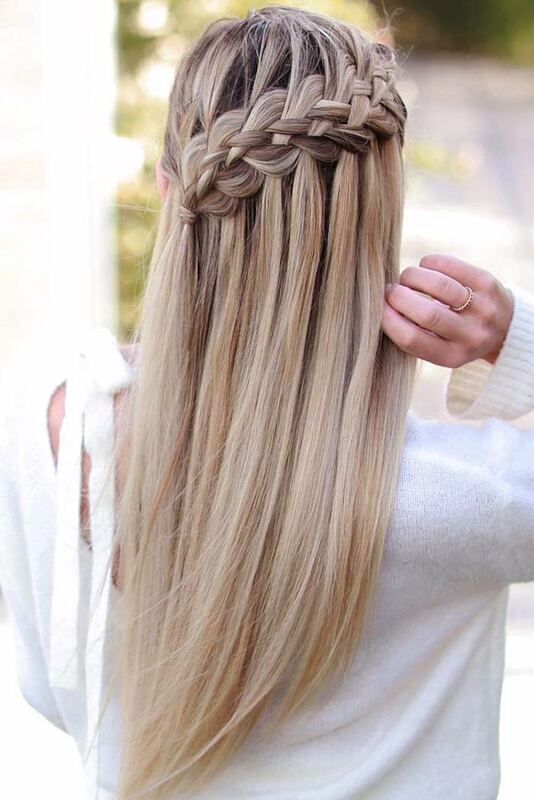 To get the style, you just need to combine two braids and pin them on the top. Split your hair into two, twist these pieces, and get a fascinating braided hairdo! Rope braids are meant to save your time fashionably. Isn’t that a perfect idea for casual styles? 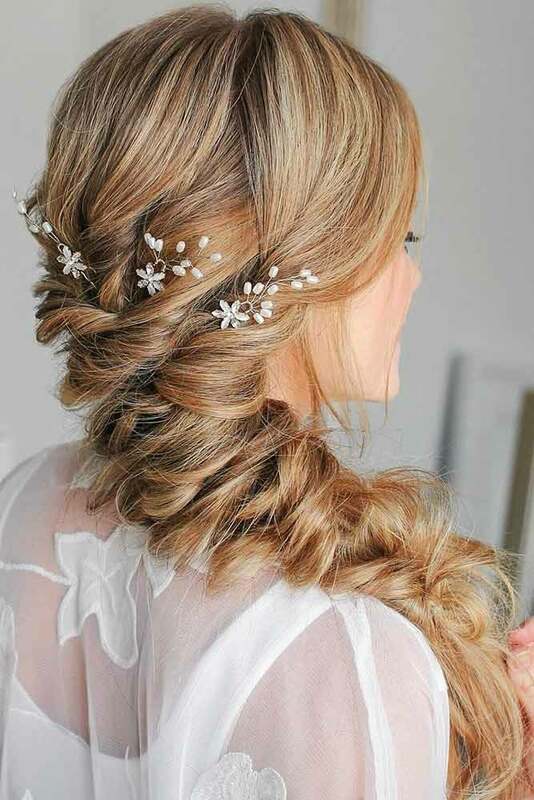 Nothing can compare to the charm and elegance of the halo braid. Not only this hairstyle shows off the beauty and richness of your hair but also gives you a sophisticated, well-balanced look. Your halo can be anything you want: from regular to French braid hairstyles. Since this braid has a beginning and an end, it seems like it’s called ‘infinity’ because its beauty is simply infinite. 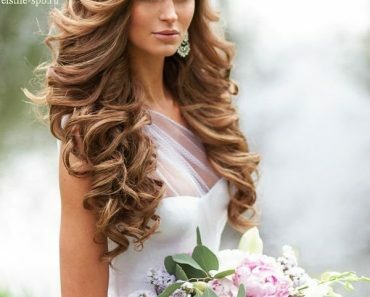 It looks gorgeous as a half-up on wavy hair, adding a cute tight texture to the ‘do. Who needs accessories when our hair is the best natural embellishment? 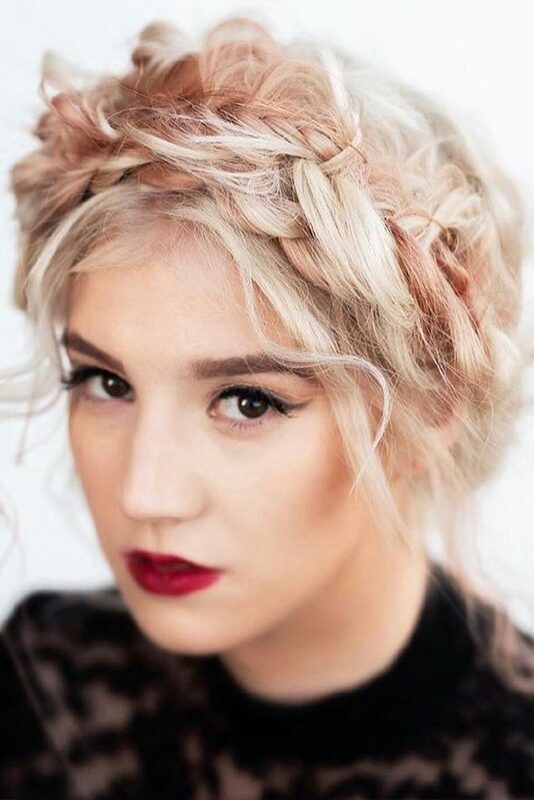 You can create a crown out of your locks by doing a couple of side braids and pinning them together on top. Simple, yet exceptional. 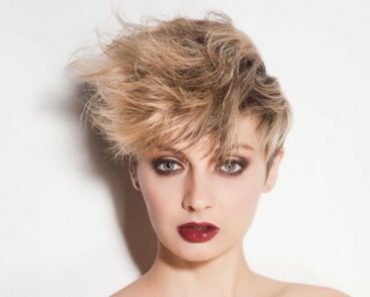 Fond of romantic and intricate hairstyles? The five strand braid, which is an extended variation of the regular plait, is a must-try for you, then. 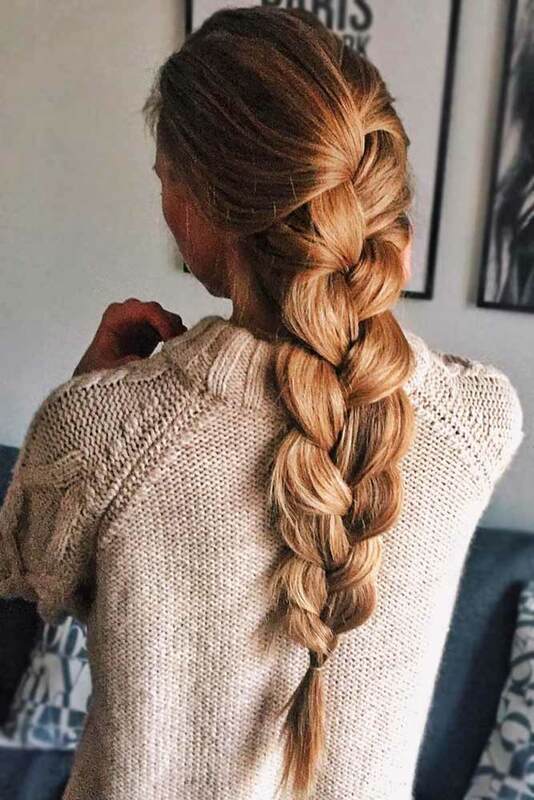 Braiding five sections at once may be complicated for newbies, but with the time this diverse and relaxed look will be just a breeze. 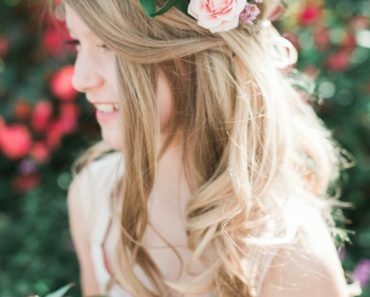 A lace braid, or a one-sided French braid, can be a wonderful finish to any hairstyle. For example, your long loose hair will look even more flattering with a feminine, braided detail. 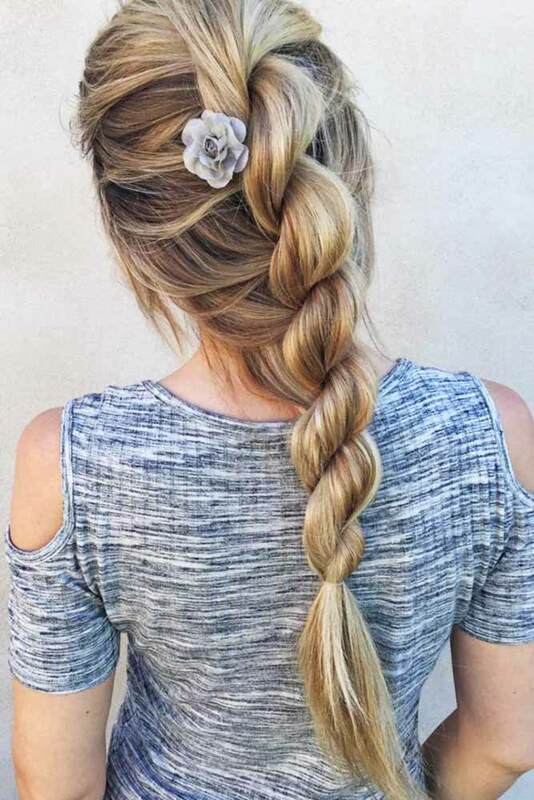 The topsy tail braid is probably one of the most creative types of braids. To achieve the style, you will need to flip the ends of little ponytails and put them through into the loops. Easy, again. But so pretty! You’ve just got to know so many different types of braids. Which one matches your mood? 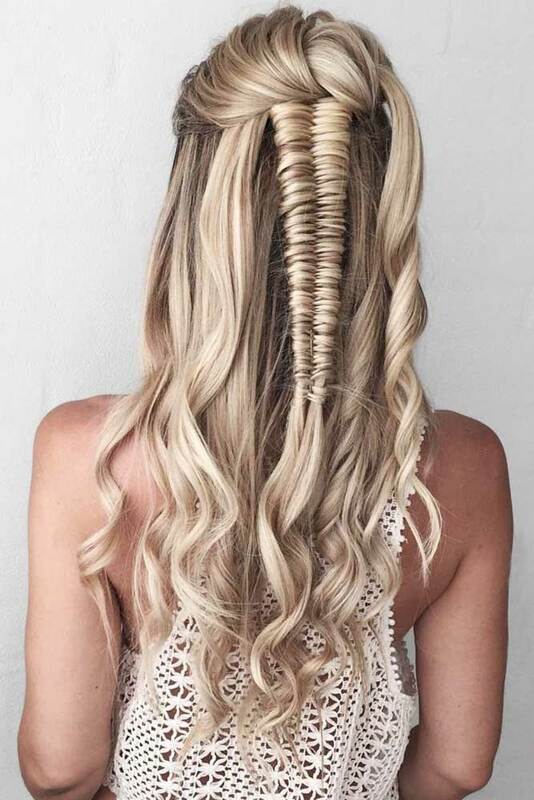 Now you know how many awesome things you can do with your hair and how unique you can sport them. Isn’t that time for experiments?